RALEIGH, N.C. (WNCN) — Protesters to House Bill 2 showed up Saturday afternoon in downtown Raleigh outside the NC Governor’s Mansion. 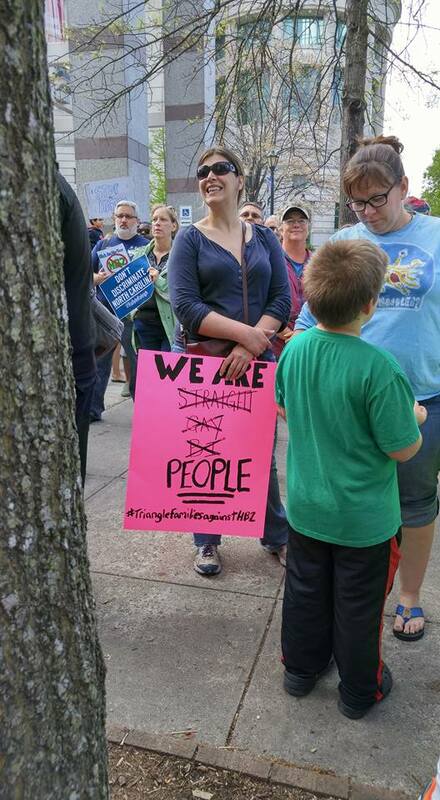 A group of hundreds had signs with them outside of Governor Pat McCrory’s official residence on North Blount Street. The group is opposed to House Bill 2, which was passed by the General Assembly to counter an ordinance in Charlotte that would have allowed people to use a public restroom based on the gender with which they identify. Governor McCrory signed the bill the same day it was passed by the General Assembly in a special session late last month. 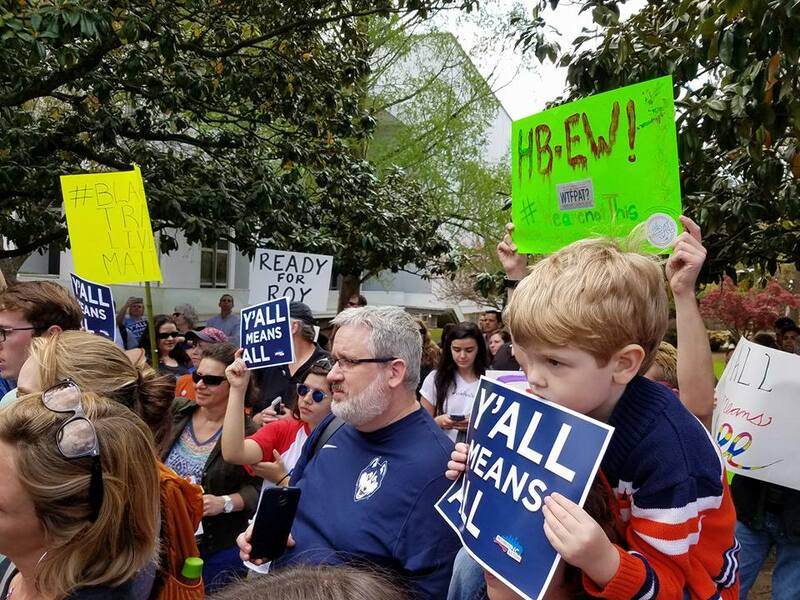 Several protests have been held since then, including one with hundreds of people in Chapel Hill that blocked Franklin Street for hours last week. 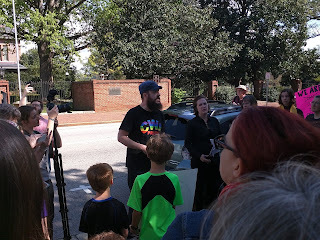 There were small children at the Chapel Hill protest and there were more at the protest in Raleigh on Saturday, which started around 3 p.m.
Parents on Saturday said it was important for the children to see the opposition to House Bill 2. The protesters on Saturday stayed mostly on the sidewalk across from the Governor’s Mansion. No traffic was affected. Update (4/5/2016): WRAL's story on the protest.